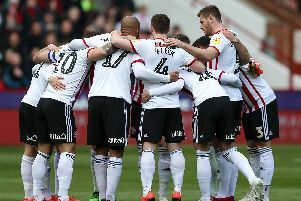 Nigel Clough has told Sheffield United supporters ‘You can make the difference’ during tonight’s Capital One Cup semi-final against Tottenham Hotspur. And, as his players attempt to stun the visitors by overturning a 1-0 first leg deficit, the former England international predicted Mauricio Pochettino’s top-flight superstars face an journey into the unknown at Bramall Lane. Describing the home crowd as United’s “twelfth man” when they humbled Southampton in the previous round, Clough said: “It’s a different kind of atmosphere and a different kind of football than they’re used to. “Even in the big (Premier League) games, it can be a little bit of a damp squib. It’s a little bit sterile at times, even when you get the big guns playing each other. “We’ve got to make it everything they’re not used to and everything that they’re not comfortable with, like we did to Southampton. United reached the last four of the FA Cup nine months ago and Clough, who has yet to lose a knockout match on home soil, added: “The fans have played a massive role in that. You think back to the Forest game last season, the Charlton game and Fulham when we played for a long period with 10 men. Nevertheless, highlighting the presence of former United defender Kyle Walker in Spurs’ squad, Clough warned that Spurs are possibly better equipped to cope with the hostile reception which awaits them than Ronald Koeman’s charges. “I’m sure they will be aware of the sort of game it could be for them,” he said. “If you look through Spurs’ team, there’s a few lads who’ve been out on loan and they’ll know what it’s about.